Hier sind wieder ein Haufen Homebrew-Updates! Den Anfang macht der XCI-Explorer-Fork von StudentBlake. Dieser erhielt nur ein paar Bugfixes. Joel16 hat die vierte Beta seines Dateimanagers für die Nintendo Switch veröffentlicht. eBooks (PDF, CBZ, FB2, EPUB) lassen sich jetzt lesen und "Nächster" und "Vorheriger" im Audio-Player funktioniert nun auch bei anderen Musikformaten als MP3. Diese Option gibt es auch im Bildbetrachter, aber nur für die Formate PNG, GIF, BMP und JPG. Der Audio-Player kommt jetzt außerdem mit "Zufällig" und "Wiederholen" Optionen daher. Mehrere Dateien lassen sich mit Y markieren und "Verschieben" verschiebt jetzt wirklich, anstatt zu kopieren und dann zu löschen. Des Weiteren werden die Filesystem-Services der Switch zum Anzeigen der Ordner verwendet, was bedeutet, dass kurzfristig die Option zum Sortieren nach Datum gestrichen werden musste. * Added eBook reader by rock88. (Supports the following formats: PDF, CBZ, FB2, EPUB) --> D-PAD Up/Down - zoom in/out, D-PAD left/right or L/R or touch - previous/next page, and the circle pad is used for positioning the viewpoint. * Next/Previous now supports other music formats supported by NX-Shell and not just MP3. * Gallery/Image viewer can now view next/previous images in a working folder. (Only PNG/GIF/BMP/JPG) - Use D-PAD or L/R or touch. * Music player now has support for Shuffle and Repeat. This occurs once the current audio file is done playing depending on the option selected. 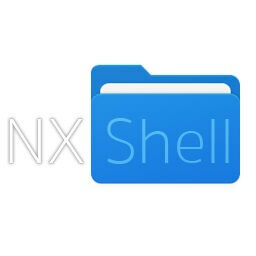 * About screen now displays the contributors who have contributed to NX-Shell. * Add multi-select for delete/copy/cut. (Please note you can only multi-select items from one working directory) -> Use the "Y" button to select multiple items. Note the menu bar is now opened using either touch or the minus button. * Move option no longer copies and then deletes the folder/file. It moves the item instantly and is therefore much faster than previous releases. * Fix audio selection going out of bounds when using next/previous. * Next/Previous can now be used by the L/R trigger buttons. NDS-Bootstrap hat ein Update auf v0.10.0 erhalten. Damit werden fast alle Spiele unterstützt! Mit dem DSiMenu++ v4.4.0 lässt sich außerdem die Sprache des Spiels ändert, falls unterstützt. Zudem funktioniert der Standby-Modus jetzt ohne Cartridge im Slot, Pokémon HeartGold und SoulSilver sollten nicht mehr abstürzen und ein paar Probleme mit der Anti-Piracy-Protection in Chrono Trigger wurden behoben. Auch funktionieren die Tastenkombi "L+R+Unten+B" und "L+R+START+SELECT" zum Beenden des Spiels wieder. * * As a result, almost every game is now compatible with nds-bootstrap! * You can now set a different language for your games (if the game supports it), via DSiMenu++ (starting with v4.4.0)! * Bootstrap's loading screen now fades in and out to white for a smoother transition to your games. * Dementium II now works. * Sleep mode now works without any cartridge in Slot-1! * arm9/arm7 SCFG is now locked on game boot to avoid some AP issue. * As a result, DSi-Enhanced games now work on DSiWarehax (e.g. sudokuhax, fieldrunnerhax). * Chrono Trigger's AP issue should no longer occur. * Pokemon HeartGold/SoulSilver should no longer crash. * The L+R+DOWN+B and L+R+START+SELECT button combos now work again. * Taking a cartridge out of Slot-1 while in sleep mode will still reboot the console (3DS), or power it off (DSi). DarkMatterCore hat seinem Cartridge-Dump-Tool für die Switch einem Update unterzogen. * Fixed game card version reading (now using the ncm service instead of retrieving it from the cached Control.nacp). * Added ability to read and identify FW update versions bundled with game cards. * In case an error occurs while reading the game card Title ID, the application will also display the FW version update bundled with it along with an explanation. * Removed output XCI dump renaming based on the XML database from nswdb.com. 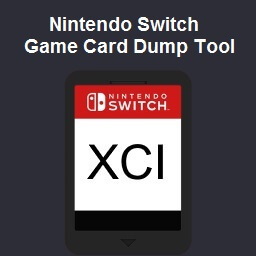 * * XCI dump: "sdmc:/[GameName] v[GameVersion] ([TitleID]).xci". * * Raw partition dump: "sdmc:/[GameName] v[GameVersion] ([TitleID]) - Partition [PartitionIndex] ([PartitionName]).hfs0". * * Partition data dump (directory): "sdmc:/[GameName] v[GameVersion] ([TitleID]) - Partition [PartitionIndex] ([PartitionName])/". * * Certificate dump: "sdmc:/[GameName] v[GameVersion] ([TitleID]) - Certificate ([CRC32]).bin". * Manual file dumps will now be saved to their corresponding directory instead of the SD card root. * Added a XML database update option in the main menu. * Added an update application option in the main menu. It isn't working at this moment because libcurl has problems dealing with secure connections, and as such the option has been disabled (pressing A on it does nothing). Nonetheless, the code to parse JSON responses from the GitHub API is pretty much ready, so it's just a matter of time.